Nate Brown (@beastmoderunnin) is back to tell us about his recently completed first Boston Marathon. He details every aspect of the race, including his mental approach and pacing strategy. Tons of great stuff for both Boston veterans and those still dreaming of lining up in Hopkinton. In this episode we hear Brian’s St. Louis Marathon recap and talk to Nate Brown (@beastmoderunnin) who is training for his first Boston Marathon on April 20th. Learn how Nate made a childhood dream a reality, in less than two years, through determination and hard work. 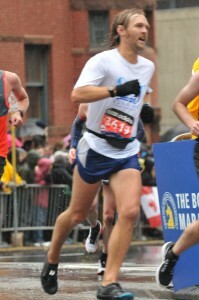 He shares what has worked for him and what he has learned about marathoning.